Check this out! Pale yellow bridal party dresses! Don’t these bridesmaids look stunning in soft yellow? I think this color works wonderfully with the bright yellow sunflower bouquets. 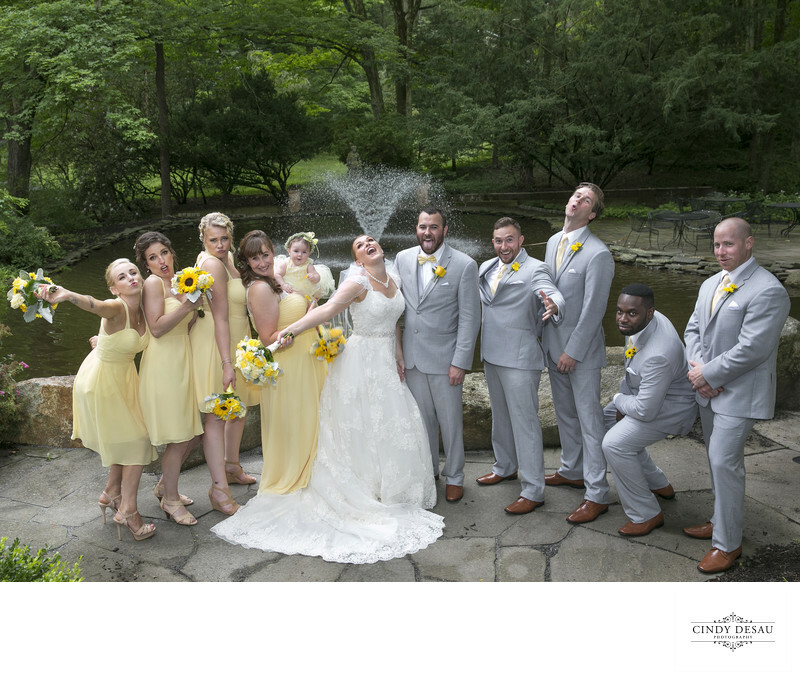 The flower girl wears her own pale yellow hue, and the groomsmen balance the coordinated look with yellow boutonnieres and ties.